Do you remember the last time you left your family dentistry Peoria clinic with that amazing fresh feeling you get from a professional dental cleaning? It’s easy to forget to schedule your annual cleaning, but it’s not something you want to miss. Even the best dentist Peoria patients have ever met can’t make you work it into your schedule, but when you read the following five benefits of general dental cleaning, you might just reach for your calendar. Plaque is the sticky film that constantly builds up on your teeth and it is the number one cause of tooth decay and cavities. Forget to brush a few times and your plaque may harden into tartar. You won’t be able to brush tartar away. It must be removed during a general dental cleaning. Coffee, tobacco, tea, wine, and even seemingly innocent fruits can cause unsightly stains. Luckily, general dental cleanings can remove built-up stains and give you back your perfectly polished white smile. 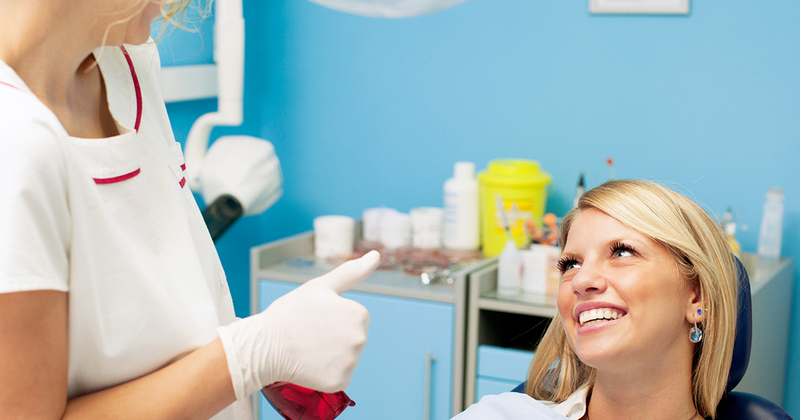 Better general dental health isn’t the only benefit of dental cleaning. Because it keeps your gums healthier, it actually reduces your risk of serious medical problems that are associated with gum disease, including heart disease, stroke, diabetes, and more. Tooth loss in adults is usually related to severe gum disease. The infection advances into supporting bones and causes your teeth to loosen and fall out. The chances of serious gum disease leading in tooth loss fall dramatically if you get cleanings regularly. During your cleanings, your dentist or hygienist can detect and treat gum problems even before you notice the symptoms. If you keep your teeth clean now, you may not need expensive dental work later. You should check to see if you have access to low-cost or free dental cleanings through your dental insurance plan. If you do, don’t let them go to waste. To schedule a dental cleaning with the best dentist Peoria smiles know, check your business directories for family dentistry Peoria resources.